I first heard about the benefits of hemp seeds a few months ago and have been using them in my green smoothies. Hemp seeds are super high in protein, full of a wide array of vitamins and they are full of Omega-3 and Omega-6 fatty acids. They are pretty much a nutrition powerhouse! 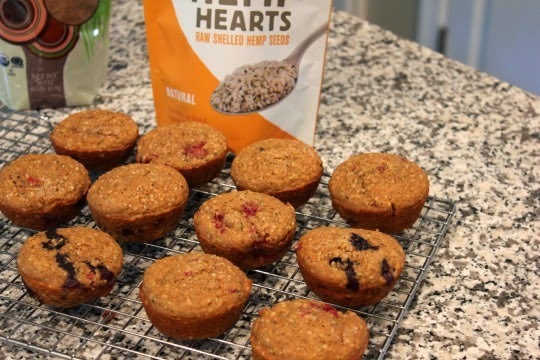 Last week I noticed my local Food Co-op featured a muffin recipe using hemp seeds. I purchased my bag of hemp seeds from the Friendly City Food Co-op, but you can buy them at Whole Foods, health food stores and many grocery stores. I was excited for a new way to use my bag of hemp seed goodness! I made a few adaptions to their recipe, using items I had on hand and they turned out great! After baking I froze the muffins on a cookie sheet and then placed them into a freezer-safe container. In the mornings I grab one from the freezer and take it to work for a healthy mid-morning snack. In a small bowl combine milk, egg and coconut oil. In a large mixing bowl whisk together flour, sugar, baking powder, salt and hemp seed. Add wet ingredients to the dry, mixing just until combined. Gently fold in the blueberries and raspberries. 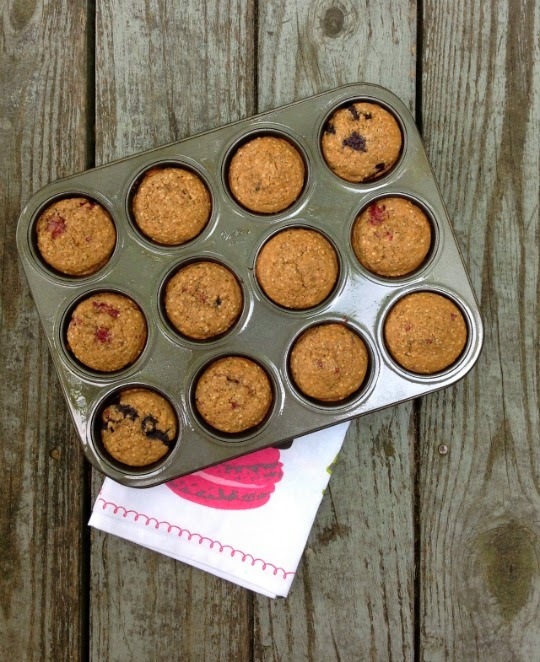 Using a large cookie scoop, fill 12 muffin cups evenly with batter. Sprinkle tops with raw sugar if desired. Bake approximately 18 minutes, or until a toothpick inserted comes out clean. Be sure to follow Me and My Pink Mixer on Facebook, Twitter, Pinterest and Instagram!